To the Soldiers, Sailors, Airmen and Marines of The United States of America and those of you among our Allies. Whether you are serving on active duty or are no longer a part of the uniformed services, thank you. Thank you for volunteering to serve so that I never had to face a draft. Thank you for your dedication to your duty. Thank you for relocating at the drop of a hat. Thank you for deploying. Thank you for putting yourself in harm’s way regardless of your personal feelings about the matter. Thank you for making my world a safer place. Thank you for continuing to espouse honor, duty, Country. Thank you for remembering and honouring your fallen comrades. Today, at the 11th hour of the 11th day of the 11th month, 90 years after the guns of “the war to end all wars” fell silent, we honour you for all that you are doing and have had to do for the collective good. This entry was posted in Uncategorized and tagged Veteran's Day. Bookmark the permalink. i have my red poppy on my coat today. Ah, someone who still knows the 11th hour of the 11th day of the 11 month. And yes, 90 years ago all the modern demons were unleashed that — as you say — young men and women are dealing with on our behalf. A nice post. Mine’s not nearly as corny and it covers boxers. Excellent post. I do a television show in my little community and I did my own on-air thanks to our Veterans. I was surprised and shamed by the response I received from the families of our veterans. Apparently…and sadly…. they aren’t used to being thanked. 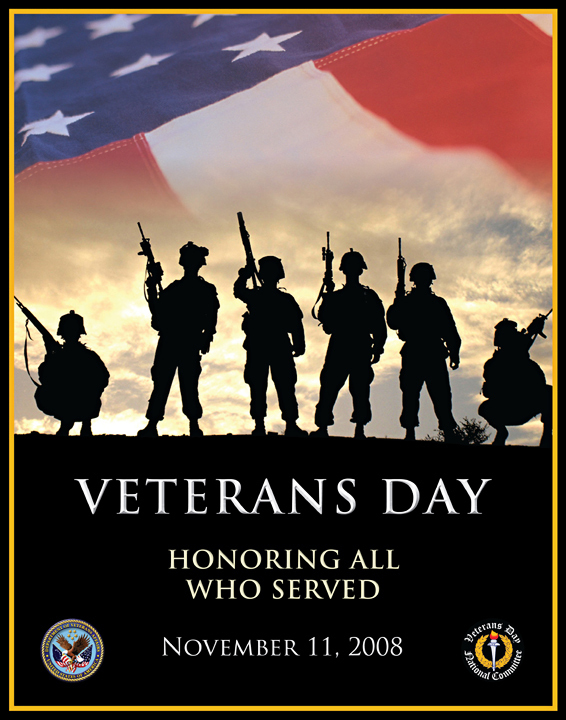 Everything we have and everything we are…we owe to our Veterans. Thank you Robin, and good for you! I am shocked by the way we treat active duty personnel and veterans. There are many reasons they choose to serve. And one commonality — love of country. So much so that they are ready and willing to risk death on a daily basis, on behalf of people they don’t know, if we demand it of them.